(Hong Kong) – Chinese government measures since 2009 to curb torture by police and wrongful convictions have not gone far enough to combat abusive interrogations, Human Rights Watch said in a report released today. Government claims of a reduction in detainee abuse will be scrutinized by the United Nations Committee against Torture in November 2015. The 145-page report,Tiger Chairs and Cell Bosses | Human Rights Watch“Police Torture of Criminal Suspects in China,” is based on Human Rights Watch analysis of hundreds of newly published court verdicts from across the country and interviews with 48 recent detainees, family members, lawyers, and former officials. Human Rights Watch found that police torture and ill-treatment of suspects in pretrial detention in China remains a serious problem. 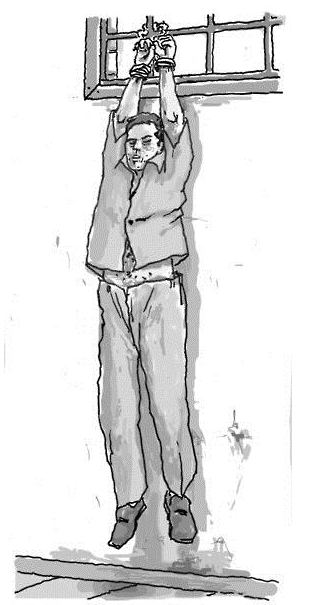 Among the findings are that detainees have been forced to spend days shackled to “tiger chairs,” hung by the wrists, and treated abusively by “cell bosses” – fellow detainees who oversee cells for the police. While the measures appear to have reduced certain abuses, such as those conducted inside police detention centers where suspects are held before trial, some police officers deliberately thwart the new protections by taking detainees away from these facilities for interrogations or by using torture methods that leave no visible injuries. Videotaped interrogations are routinely manipulated: for example, rather than recording the full interrogation, some officers take the suspects out of detention centers to torture them, then take them back into the detention centers to videotape the confession. Procurators – officers from the agency responsible for the investigation and prosecution of crimes – and judges sometimes ignore clear evidence of mistreatment or fail to examine the claims seriously, rendering the exclusionary rule of little benefit. In addition to conducting interviews, Human Rights Watch searched a large database of Chinese court verdicts, made possible by a Supreme People’s Court decision that in principle required all courts to post decisions online beginning January 1, 2014. Human Rights Watch searched approximately 158,000 verdicts published on the court’s website between January 1 and April 30, 2014, for verdicts in which suspects alleged police torture. A total of 432 verdicts referenced torture allegations, but only 23 resulted in the court throwing out evidence. None led to an acquittal. Chinese judges rarely hand down not-guilty verdicts: in 2013, only 825 out of an estimated 1,160,000 criminal defendants, or 0.07 percent, were acquitted. Abuses were facilitated by suspects’ lack of access to lawyers, family members, and doctors not beholden to the police. Former detainees and relatives described the difficulty of retaining lawyers willing to challenge the police in court over allegations of mistreatment. Academic and official sources estimate that 70 to 90 percent of criminal defendants in China have no lawyers. In addition, many told Human Rights Watch that medical personnel who have the opportunity to report apparent torture or ill-treatment do not do so, denying detainees a critical source to validate their allegations. 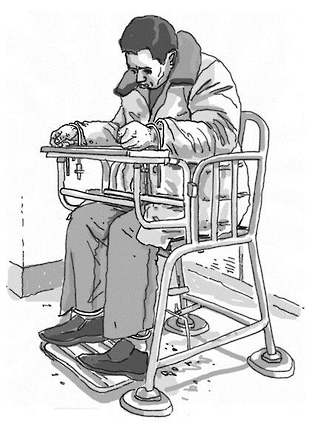 China has virtually no rehabilitation services for torture victims. China’s criminal justice system facilitates numerous opportunities for the police to abuse suspects and gives them enormous power over the judiciary, hindering any accountability efforts. Police alone make all initial decisions to deprive suspects of their liberty, and can subject them to 37 days of repeated instances of incommunicado interrogation before the procuratorate must approve their arrests. This contrasts starkly to the requirement in Hong Kong and many other jurisdictions, where suspects have to be brought before a judge within 48 hours of being apprehended. The Ministry of Public Security operates the detention centers, permitting police unlimited and unsupervised access to detainees. Lawyers are not allowed to be present during interrogations; and suspects have no right to remain silent, violating their right against self-incrimination. Procurators and judges rarely question or challenge police conduct, and internal oversight mechanisms remain weak. Police are rarely held accountable for their abuses, even among the most prominent cases of wrongful convictions. Among the Supreme People’s Court verdict database cases, Human Rights Watch found only one prosecution of three police officers responsible for torture, but none served prison time. The lack of prosecutions in turn means that compensation for victims is especially difficult to obtain. Absent more fundamental reforms in the Chinese criminal justice system that empower defense lawyers, the judiciary, and independent monitors, the elimination of routine torture and ill-treatment is unlikely. Authorities should move swiftly to significantly reduce the amount of time a suspect can be held in police custody before seeing a judge, ensure that lawyers are present during police interrogations, adopt legislation guaranteeing suspects’ right to remain silent, and establish an independent commission to receive and investigate complaints of police abuse. The government should also go beyond measures adopted since 2009, and instead make systemic changes that strengthen the procuratorate and the judiciary relative to the police. Such reforms should include transferring responsibility for detention facilities to the Ministry of Justice, which oversees prisons, and freeing the judiciary from Communist Party control. The Chinese government has several near-term opportunities to demonstrate its commitment to vigorously implementing existing laws, and to making key improvements to eradicate torture and ill-treatment of detainees. The Ministry of Public Security is drafting a new law to replace the 1990 Detention Center Regulations, which could address some of the legal loopholes enabling the abuse of criminal suspects. 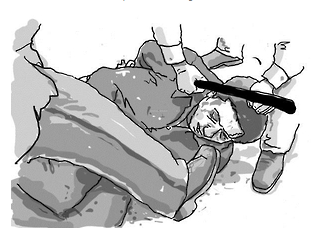 In November, China’s measures to end torture will be reviewed by the UN Committee against Torture, an independent expert body that monitors compliance with the Convention against Torture.